Canada’s top wine writers and sommeliers gathered in the nation’s capital for an extraordinary tasting of Italian wines from Ruffino, a winery nestled in the heart of Tuscany. In the video above, Ruffino Global Brand Beppe d’Andrea shares the story on how, in 1861 Ruffino Ducale Riserva Chianti Classico got its name and how the term ‘Reserva’ came into being. It’s impossible to imagine Tuscan life to be anything but pure bliss. With all the fabulous food and wine, culture, history and art, it’s a place for living la dolce vita. We had a rare opportunity to taste and experience a slice of la bella vita Toscana delivered by Ruffino’s charismatic Global Brand Ambassador, Beppe d’ Andrea. An enthusiastic and dynamic storyteller, Beppe joined Ruffino in mid 1980’s as an already seasoned cellar master and wasn’t very pleased when asked to start in their vineyards first, something he very much appreciates today. Ruffino was founded in 1877 by cousins Ilirio and Leopoldo Ruffino, both passionate winemakers of Tuscan signature Chianti wines produced in the region since the 13th century. 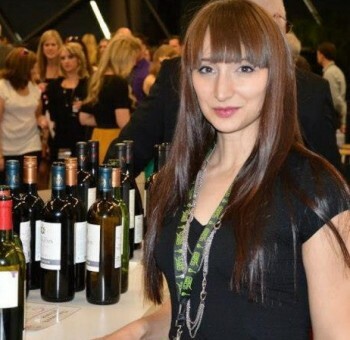 After just four years of making wine, they won their first gold medal and two decades later it earned them a gold at the prestigious Bordeaux Wine Fair. Today, Ruffino represents a symbol of Italian lifestyle and sets the standard for all Italian wines around the world. 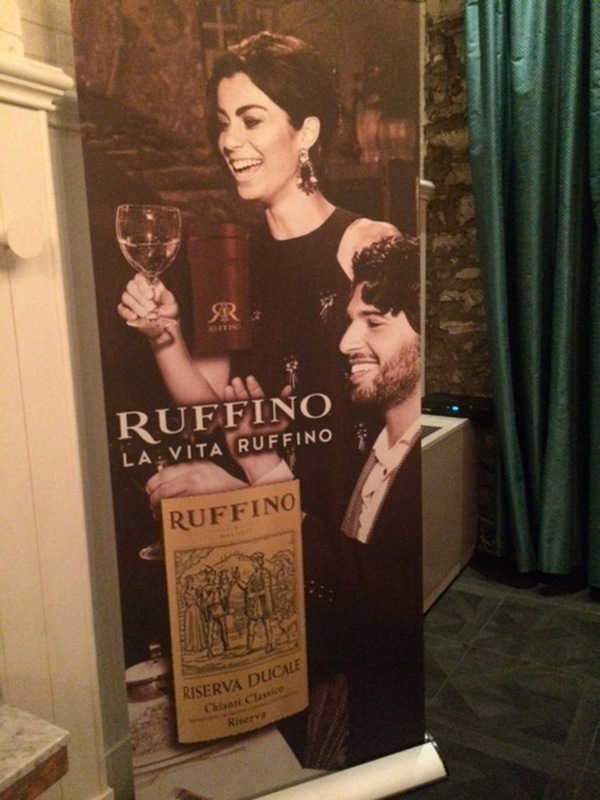 It was a great pleasure attending the Ruffino Tasting dinner, featuring their signature wines, paired by Italian-themed cuisine. My favourite course and pairing of the evening were light-as-air Ricotta Gnocchi with smoky pan-fried wild mushrooms, splashed down with a glass of Ruffino Chianti DOCG. We toasted the evening with a glass of their fruity Prosecco, continued with the Pinot Grigio, followed by Chianti DOCG 2014 and Ruffino Riserva Ducale 2011 & 2012. As a special treat we also tasted Grand Selection Riserva Ducale Oro DOCG and finished with 2011 & 2012 Modus. What a treat! 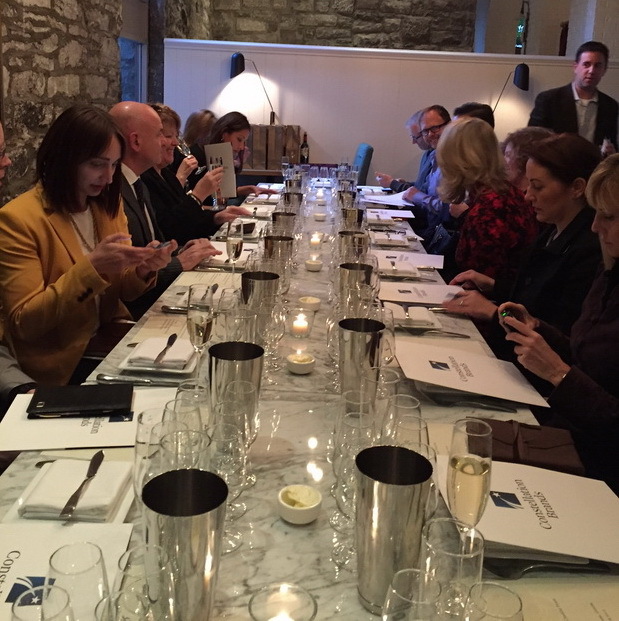 With a winter chill in the air, a group of Ottawa’s top wine writers and sommeliers gathered at Social restaurant to be warmed by the gracious hospitality of Beppe d’Andrea, former winemaker and now Global Brand Ambassador for Ruffino Wines. Fascinated by his vignettes from Italy’s past, the group were afforded a glimpse into the future for oenophiles with a taste for Tuscany’s most iconic brand. Founded in 1877, Ruffino has been a force in establishing Chianti as a globally loved wine. Ruffino has strong roots in tradition but is constantly on the leading edge of technical advances in wine making. Staying in the lead in a very competitive industry doesn’t have to mean sacrificing the roots of what made a company great. Ruffino is ever mindful of how their ancestors crafted their wine, and how it often is advantageous to blend the old with the new. Beppe tells the story of why women and children were the best choice for crushing grapes in the traditional way. Men, he says are too heavy, too aggressive and in their zeal they also crush the stems and seeds creating excessive tannin (whenever he speaks of tannin he pulls at his cheeks expressively). The women and children are gentle and the juice from their efforts creates a more balanced wine. To capture this tradition in modern winemaking, Ruffino employs gentler pressing methods and the result is obvious in the tasting notes for their portfolio. Between tasting the excellent dishes prepared by the Chef at Social and the accompanying wines, guests were regaled with a passionate telling of the history of the Chianti region. In 1716 the Medici family were the most influential and wealthy family in Tuscany. It was then that the rules for local winemaking emerged and gave birth to Chianti. The 300th anniversary of this important date will be next year and Ruffino plans to celebrate its heritage in style. Vinified with 100% Pinot Grigio grapes, harvested in the vineyards of Veneto and Friuli, in Italy’s northeast. Elegant and complex with crisp acidity and aromas and flavours of ripe apples and lemon zest. Subtle floral notes of Alpine meadows makes it a perfect match with fragrant Alpine chesses of the region. Finish is clean and lingering. With Ruffino having the top selling Chianti wines in the world, it surely will be a global celebration, bringing together lovers of these Tuscan treasures from the myriad of countries where these wines are enjoyed (90% of their production is exported). But Ruffino has more to celebrate than others, and their own impressive success drives their search for perfection (with cooperation from “Mamma Natura” as Beppe would say). To say that their history is replete with award winning wines would be a bit understated. In 1893, with the anniversary of Columbus discovering America, Ruffino was asked to represent Italy in the US celebrations and so began a love affair with the US that persists today. Just over 10 years later, The US hosted the Olympics and World’s Fair in St Louis and at the latter event, Ruffino scored gold medals for their benchmark Chiantis. Fast forward to today and the United States remains the largest consumer of these great wines, with Canada not far behind. The wines presented for tasting included the foundational Chianti DOCG, along with their Chianti Classico Riserva Ducale and Chianti Classico Riserva Ducale Oro Gran Selezione (along with some lovely Brunellos and super Tuscans). The emergence of the official term Gran Selezione in recent times, has been lauded by many to be a novel and appreciated new level of quality for Chianti. Only afforded to single vineyard production and three years of barrel aging, this “new” classification would seem to be a step forward but Ruffino has been producing this type of wine since 1947! With one foot in history and one in the future, it is clear that Ruffino wines are special and that there are styles to suit any palate. And speaking of the future, Beppe says that 2105 will be a great vintage to look forward to. This is an elegant and complex blend of 80% Sangiovese with 20% Merlot hailing from the Chianti Classico region in the heart of Tuscany. Plush and smooth with well-balanced acidity and velvety tannins. Abundance of ripe black cherries and a whiff of cigar box. Closes in a lingering, smoke-tinged finish. 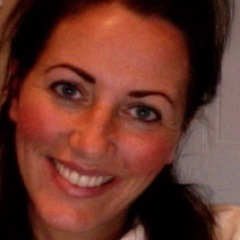 “Storytellers connect people, reflect culture and inspire discovery through the art of storytelling,” according to the Storytellers of Canada: The Art of Storytelling. 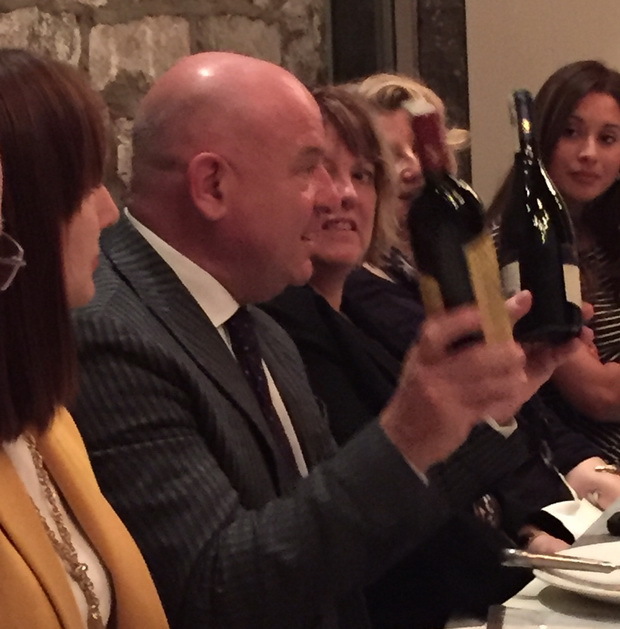 On October 18, 2015, I had the pleasure of attending a structured tasting dinner at Social Restaurant in Ottawa, featuring Ruffino wines. 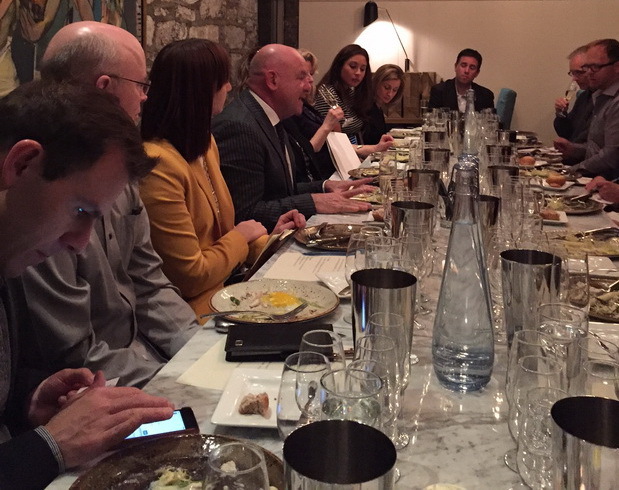 The tasting was brought to us by Constellation Brands and hosted by Ruffino Global Brand Ambassador Beppe d’Andrea. It was a beautiful evening where local Sommeliers and Wine Bloggers connected, and inspired by not only the portfolio of Ruffino wines, but also Italian culture. You see, Beppe is a Master Storyteller. Beppe paints pictures with his words. As he describes the dishes he would prepare with Ruffino Riserva Ducale Chianti 2011 for example, one can see and taste the black truffle oil drizzled over the spinach filled Ravioli that has been pan-seared to perfection and topped with crushed tomatoes. Simple foods that have been handed down for generations in Tuscany. No heavy meatballs or meat sauces that we lace our pasta with here in North America. As a side note he informs us that the Riserva Ducale translated means “Reserved for the Duke,” thus the Duke on the label since 1927. There are 600+ varietals (grapes) in Italy and some 300,000 wineries. In Tuscany, it is mostly Sangiovese. Sangiovese flourishes in the mineral-laden soils, the dry summers, sun-drenched aspects and the cooling effects of the Mediterranean Sea. These are the Hills of Gold – Colline d’Oro. Mamma in this case simply means “Tuscan terroir.” Sangiovese is best from Tuscany. As well as the Ducale’s we tasted our way through the Prosecco, Lumina Pinot Grigio 2014, Chianti’s, Chianti Classico, Greppone Mazzi 2008, and of course the iconic Modus 2012. The Modus 2012 is a handsome, inky super Tuscan, containing 50% of Mamma’s love (Sangiovese). Intense flavours of black fruit with tobacco, sweet spices and a lift of mint. Our parting gift was a bottle for the cellar. Beppe suggested this wine will continue to reward over the next 10 years. I suggest meeting up with him in 2025 over some fantastic meal listening to his tales but…I really hope we meet again much sooner. Beppe talks about the various wineries in Italy, representing an incredible range of sizes and styles. 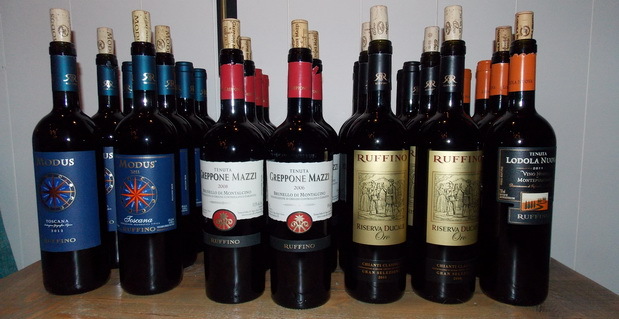 Ruffino is the largest for exporting, which is necessary since locals usually only drink the wine from their regions. 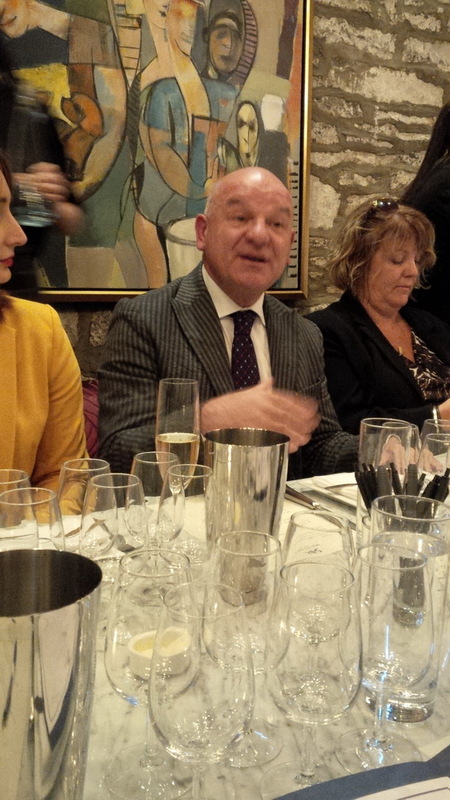 I recently enjoyed a structured tasting of Ruffino wines led by the knowledgeable and charismatic, Beppe d’Andrea, Ruffino’s Global Brand Ambassador, at the ever impressive Social Restaurant in the Byward Market in Ottawa, Ontario. Beppe d’Andrea, a certified AIS Professional Sommelier, and experienced winemaker, cellar master, viticulturist, and chef, has lived a storied career for over three decades now in Italy, focused on all things wine and food. Beppe spoke about Ruffino’s rich Italian history, dating back to 1877, and how Ruffino became an icon of Tuscany, and a leader in Chianti, titles they maintain more than ever today. Renowned for their clean and balanced wines, their wines are loved around the world for exactly that. Exported to 84 countries, only 10% of their production remains in Italy, the balance is shipped internationally to satisfy the world’s thirst for this Tuscan icon. Ruffino produces stylistically soft, round, and consumer friendly wines. They achieve this in part by employing gentle winemaking techniques such as using gravity versus harsh mechanical equipment to ensure the fruit isn’t over extracted. It’s one of many ways they ensure consistently high quality wines produced in a familiar style that’s appreciated around the world. In fact, Ruffino’s Riserva Ducale, which was first produced in 1927, is the #1 Chianti Classico in the world! If you haven’t tried it I highly recommend you do (and it’s on sale at the LCBO until November 8th). Keep your eyes peeled for the release of the Ruffino Chianti Classico Gran Selezione DOGG in December 2015 via Vintages in Ontario. Planned to be released on December 12th, the timing couldn’t be better for a holiday gift for that special wine lover in your life. And my personal favourite is their Super Tuscan, “Modus”. A wine first produced in 1997, it’s a blend of Sangiovese, Cabernet Sauvignon, and Merlot, that offers exceptional value for such a high quality big Tuscan red. Priced at a fraction of the iconic Super Tuscans (that start at $100/bottle), Modus is a wine that I recommend buying by the case (if you can get your hands on it as it typically sells out within a week or two of its release) and enjoying it now and over the next decade plus. Ruffino continues to produce consistently high quality and consumer focused wines and they make a great choice for family meals and holiday celebrations. Give them a try this holiday season. How the Italian bank system set the boundries between provinces when the rooster crowed. Beppe tells the story about what happened when a winemaker couldn’t meet his debt obligation to his banker. Wine tastings are always a treat! Nothing about working on that Sunday was a chore. We enjoyed samples of some incredible wines from Ruffino’s portfolio and paired them with a fantastic menu at Social Restaurant in downtown Ottawa. However, meeting Beppe D’Andrea was the smash hit. Beppe does a remarkable job as the Global Ambassador for Ruffino, but he also does an even more outstanding job as an ambassor for Tuscan food, history, and tradition. Ruffino definitely hired the right man for the job! Beppe is a man of numerous talents; all of which I admire. He is no fledgling to Ruffino. He started his wine career in the early 80’s as a cellar master for Italian wines, and later joined Ruffino in 1987. Beppe has held many posts during his career with Ruffino, from vineyard work to winemaking. Today, he is not just Beppe, the talented Tuscan winemaker turn Global Ambassador for Ruffino Wines, he is Beppe the story teller, Beppe the chef, Beppe the historian and Beppe the Italian language instructor. Beppe’s knowledge, charisma, and overall down to earth character made this tasting one of the most fascinating ones I have ever experienced. His story telling and recollection of historic moments in Florentine history was beyond captivating. ‘Back in the day’ wine was safer than water to drink in the Tuscan region so the people naturally sought to consume wine as a source of nutrients. It became natural to have wine at every meal. Ever wondered why the Italians gestured for money by rubbing their thumb, index and forefinger together? Well, ‘back in the days’ of gold coins in the city-state of Florence, some folks used to alter the coins by chipping some of the gold away. Bankers would rub the coins with their fingers to confirm that it was not altered or sub-valued. The black rooster. This story is not new to many wine lovers but Beppe’s recollection of it made it all the more entertaining. This is the story of how the area known as Chianti Classico came to be – just a good old fashion rivalry between Florence and Sienna. Beppe’s metaphor for Italian Sangiovese in comparison to, his example, the international varietal Cabernet Sauvignon. Sangiovese is the smooth Italiano,he can come in the form of several different styles: tangy and light to strong and robust. He can cause a bit of a headache for whoever looks after him, a bit of a trouble maker, yet he is charismatic and gets along with everyone. The Cabernet Sauvignon, on the other hand, is “an international businessman.” He wears one suit time and again. 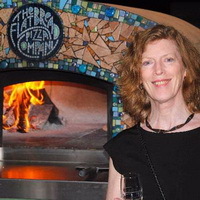 I loved hearing all of the history of Italy and the role that wine played in developing our society. I retold (shortened) versions of the story of the origin of the world “Salary” and “Bankruptcy” as told to us by Beppe. Beppe was so engaging and really had a knack for knowing what information was going to enhance our enjoyment. My favourite wines were the Modus wines. I love that they are bright and juicy but also have a lot of depth and sohpistication. I also love the simple entry-level chianti for its mouthwatering acitidy and amazing ability to pair with a wide range of food and especially how it contrasted with the soft, pillowy gnocchi and creamy sauce, and complimented the earthy wild mushrooms. Generous servings of hearty food, excellent wine and leisurely conversation amongst friends and colleagues…these are the hallmarks of dining Italian-style. As a group of sommeliers, wine-lovers and wine writers, we share much in common with the Italian passion for good wine and food. Ruffino’s Global Brand Ambassador, Beppe d’Andrea, recently hosted a wonderful dinner at Social Restaurant which warmed up a cold October evening and felt more like Sunday dinner at his home. He welcomed us with a glass of Prosecco and throughout dinner, entertained and educated us with stories about Italian cuisine, Tuscan customs and the history of the multi-award-winning Ruffino Winery. Tuscany has a centuries-old tradition of growing exceptional wine grapes. The original Ruffino brothers, Ilario and Leopoldo, developed this tradition into a flourishing international success, making the name Ruffino synonymous with Chianti. Today, Ruffino carries on this tradition that celebrates Italian lifestyle with award-winning wines. We finished the evening feeling contented and dreaming of Tuscany. As Beppe described it, “We have harmony at our table”. On October 18, 2015 I was part of a privileged group who had the pleasure of dining and tasting Ruffino wines with their most passionate ambassador, Mr. Beppe d’Andrea . Beppe joined the Ruffino team back in 1987 and started working in the vineyards before moving into winemaking and graduating to his current position of Senior Global Brand Ambassador. He captivated us with his stories, knowledge and passion for wine, food, the Tuscan region and of course the Ruffino legacy. Established in 1877, Ruffino has a rich history of winemaking with an established collection of award-winning wines that are world renowned. Ruffino’s Chianti was first brought to North America in the late 1800’s and in 1893, it was the wine of choice for the celebration of Columbus in Chicago. Ruffino was also present at Expo 1904, the Olympic games in St. Louis Missouri. It wasn’t until almost 100 years later before Chianti was exported globally. At the heart of Ruffino lies one grape in particular, Sangiovese. This versatile grape is the main varietal for many Italian wines ranging from Chianti to Brunello. In 1984 when Chianti became DOCG, Ruffino was the first Chianti to be shipped around the world. 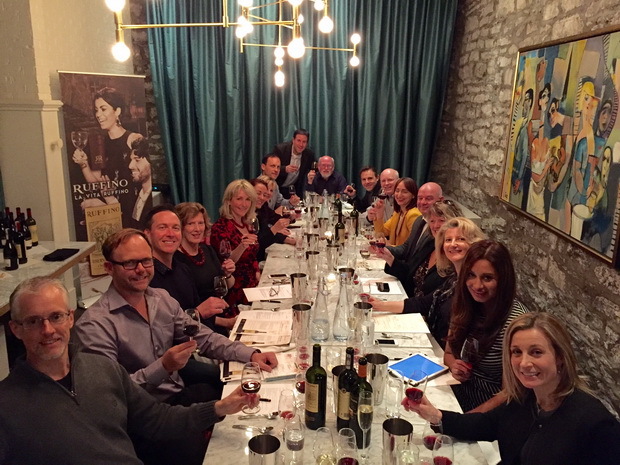 During the Oct. 18th tasting at Social restaurant in Ottawa, four courses were served with an extensive selection of wines from the Ruffino family. 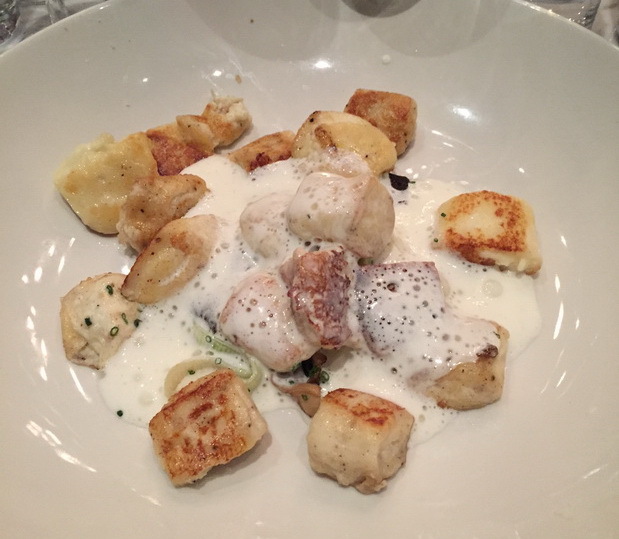 One of my favorite pairings was the Ricotta Gnocchi, wild mushrooms, leeks with cheddar foam paired with the Ruffino Chianti DOCG, 2014. This was a perfectly classic Italian pairing. Beppe told us of the history of the Ruffino Chanti wine label, which didn’t change its design since 1927 – a true testament to the longevity and quality of this brand. 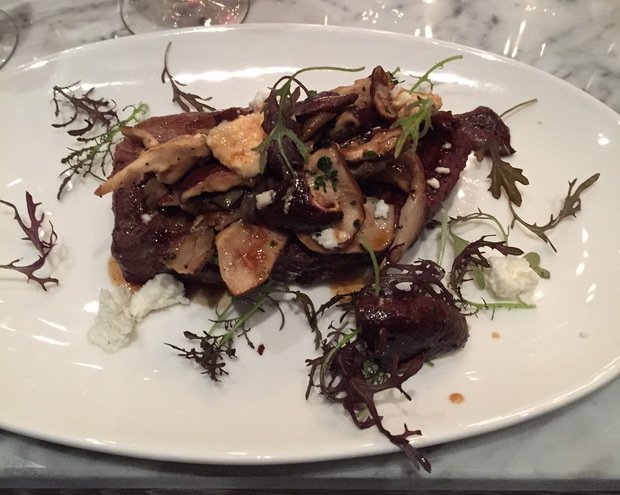 Another great pairing was the striploin, wild mushrooms, goat cheese and greens paired with the Ruffino Riserva Ducale, 2012. The cherry, violet and tobacco notes, along with the velvety tannins, due to a secondary, malolactic fermentation and crisp acidity compliments the protein whilst cutting through the fat of the meat and cheese. Additional wines tasted included the Modus 2011 and 2012, Brunello and Lodola Nuova, all of which brought their own unique representation of Sangiovese and how it can express itself differently when blended with other varietals. 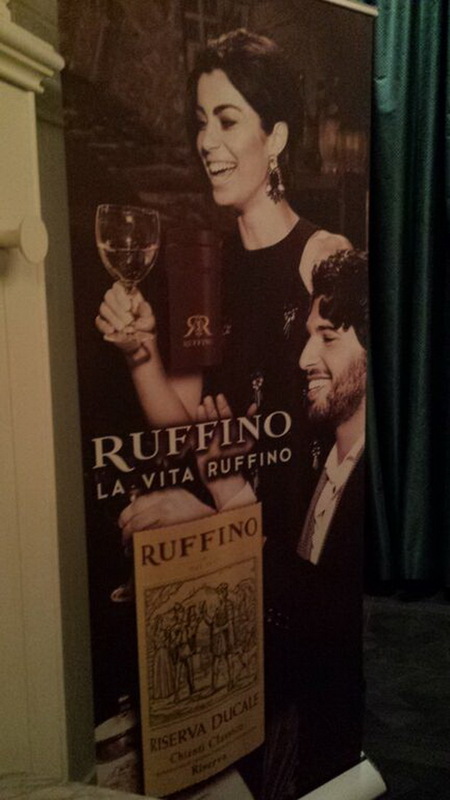 Ruffino will be back in Canada at the end of February for the Vancouver wine festival. I would highly recommend you visit them to taste their luscious wines and learn about their extensive history. Starting with a deliciously bubbly Prosecco, our dinner with Ruffino Global Brand Ambassador, Beppe d’Andrea, was every bit as entertaining as a dinner at Nonna’s. 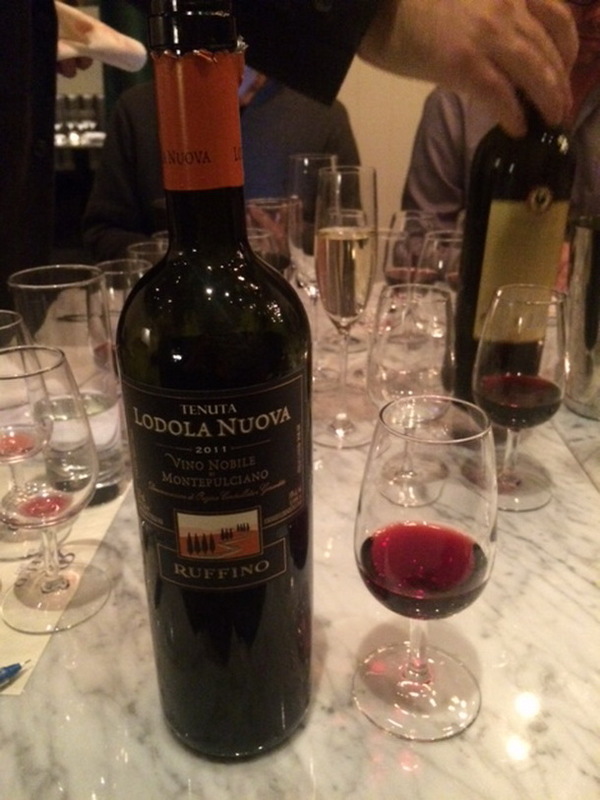 The history behind not just Ruffino wines, but all Italian wines was very enlightening. Social Restaurant certainly did not disappoint on the expertly paired four course meal. 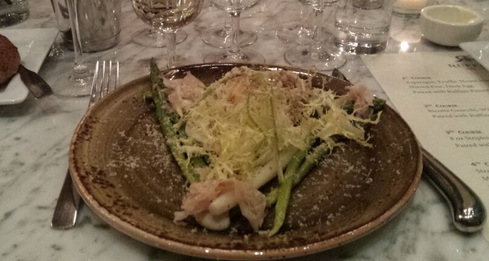 Starting with a plate of asparagus, truffle prosciutto, shaved foie and a poached duck egg which was complemented by the earthy yet fresh 2014 Lumina Pinot Grigio. The Ricotta gnocchi was a group favourite, paired with a 2014 Ruffino Chianti and shared with wine stories straight from the Italian countryside. One such story – of annual Medici celebration of San Lorenzo on August 10 which was likely the only time the hard working citizens of Tuscany ate beef. Beppe explains how wine is made by working in harmony with all the elements. 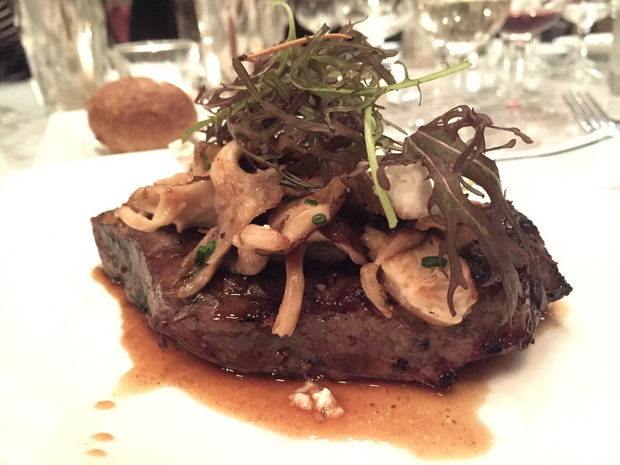 The third course consisted of grilled steak with mushrooms and goat cheese, paired with two vintages of the Riserva Ducale (the Dukes reserve). 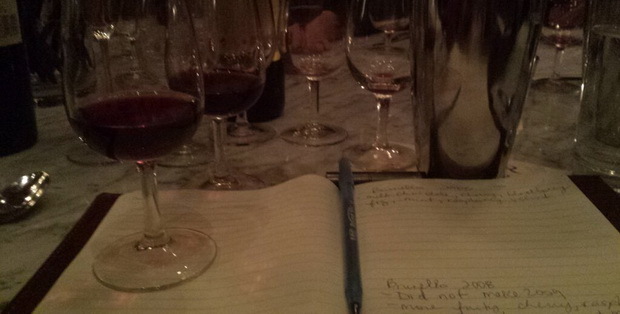 Additional reds were tasted in two groups – Brunello DOCG and Modus IGT. 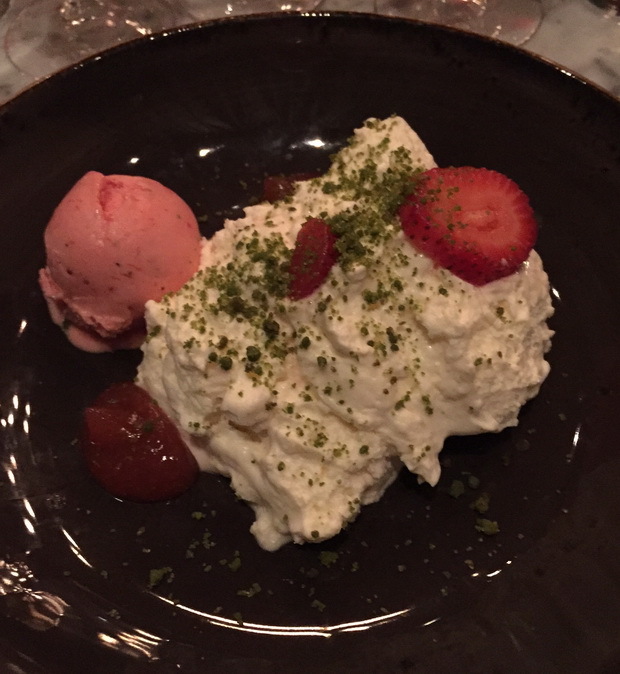 Dessert was a delicious serving of strawberries and cream, Japanese cheesecake and matcha streusel. This was not simply a wine testing event, it was also entertaining history lesson. It is clearly evident that Ruffino wines are produced with qualità della vita in mind! 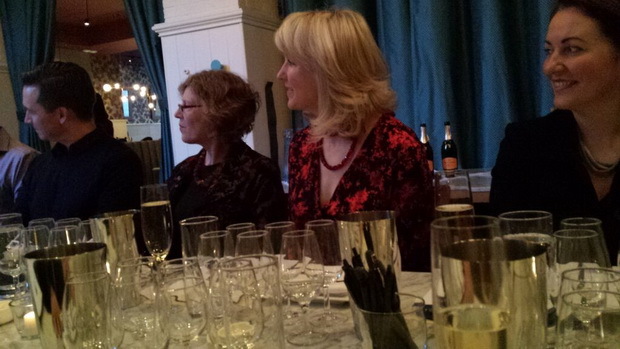 How to correctly open a bottle of bubbly and the role of fermentation in winemaking. Ruffino wines carry a long history of Tuscan life within each bottle. Chianti has been made in Tuscany, Italy since the 13th century. Ruffino is known internationally as one of Chianti’s early producers. In 1984 the Ruffino brand was the first in the DOCG, to sport the red DOCG Chianti band, awarded to only wines of the most stringent quality. 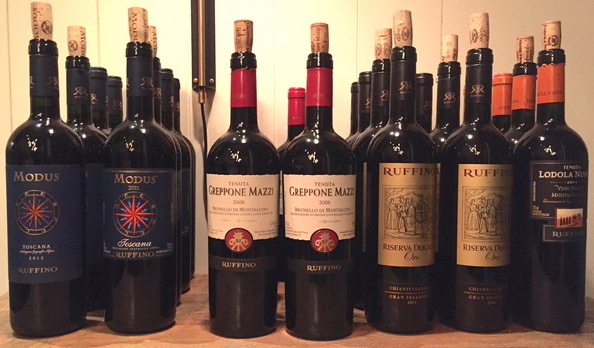 At the Ruffino winemaker dinner on October 2015, Mr Beppe d’Andrea shared wines from Ruffino. He explained the Heart and Soul of Chianti wine, it’s history, award winning legacy, and paired several interpretations of Tuscan-inspired dishes at the @Social_Ottawa restaurant. Beppe explored the origins of Ruffino, Tuscany and Chianti, and how the long history, paired with deeply rooted traditions and respect for wine and food, continue to produce exceptional wines, acclaimed as international award winning favourites. From the winemaking philosophy, to preservation of the terroir, finesse and minimalist non-interventionist vineyard practices, Ruffino wines show a clear commitment to quality and respect for Tuscan traditions, including perfection in food accompaniment and enjoyment of quality wines. I appreciated the meticulous attention to detail in the Ruffino approach to wine appreciation and look forward to future releases as Ruffino advances and enables the heart and soul of Tuscan wine into the Canadian market. Another fantastic experience incorporating wine, food, people, and history. Ruffino is a true “old world” winery, and the history seems to add character to the wine. Much like many wines always seem to taste better at the vineyard, the appreciation of what has gone into these wines over the years seems to add a certain depth to them. The history of the country, the people, and the wine was a fantastic accompaniment to the wine itself, and some fantastic pairings at Social. 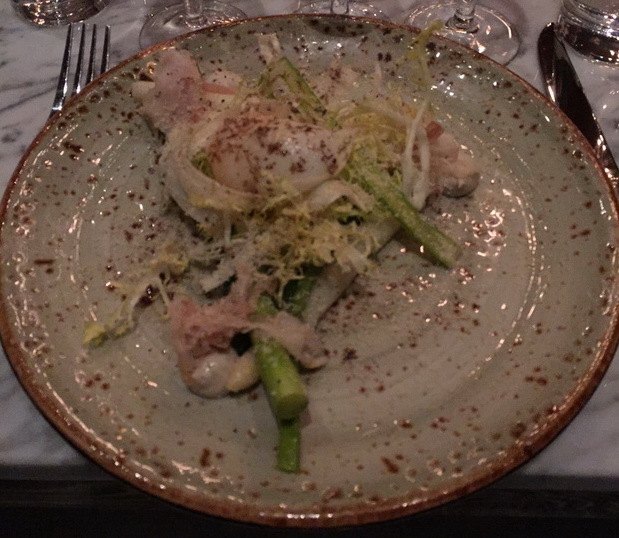 Once again the restaurant brought forth some fantastic dishes that showed the wines off very nicely. As a long time wine producer, Ruffino always has the history of the company to fall back on. Many people probably have a Ruffino as their first Chianti wine. It’s nice to see they no longer need to rely on it alone. They’ve stayed current, adopted modern production methods to improve quality where possible, and have the grapes and experience to make some amazing wines. One of the things that I find most interesting as I taste the wines and make notes, is that these wines are really about the grape. All of the modern production methods and old world wine-making experience can always change things a bit, but so much of the aromas and flavours depend on the grape. Where many of the new world wines (more the non-boutique, large scale ones) are very consistent across vintages. Different vintages of these Ruffino wines are amazingly varied. All good of course, and produced using techniques to get the best possible wine out of the grapes available, but very different. It’s like you can taste the weather that the grapes were grown in. Another interesting thing is that even the “lower end” of their line is outstanding. 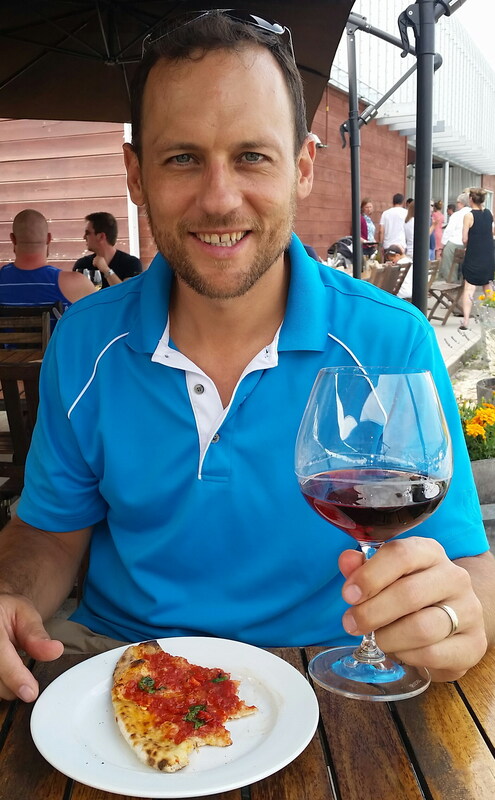 The 2014 Chianti was a very complex, food friendly wine that I was very surprised to see priced as low as it was. Given that 2014 was not considered a particularly good year for wine in Italy because of the weather, I can’t imagine how good the 2015’s will be. Beppe explains which regions go into making Ruffino wines. About 80% of their wine is made in Tuscany. It was an early Sunday evening and evident right away that the most hospitable Beppe d’Andrea, the Global Ambassador for Ruffino, wanted to ensure that everyone was “right at home”. The tasting was moments away from starting and there was an immediate warmth in the room, the kind that you feel when you are about to share in someone’s passion. I truly felt captured by his knowledge and desire to share his remarkable journey. There were wonderful stories, backed up by historical facts about the story of Ruffino long before his involvement in 1987. Beppe d’Andrea was unquestionably infectious. He wanted to share his confidence in a product that year after year, has produced amazing wines, spanning decades. We listened as he shared factual data about the tremendous success the Ruffino brand has had since 1927 and the leading importers of this Italian “powerhouse” being the US and Canada respectively. There is no doubt that the brand is built on a keen attention to detail, perfecting the harvest, and not settling for second best. In his own words, “if it isn’t worthy, it is not released”. We sampled many wines over the evening at a local Byward Market establishment, “Social Restaurant”, on Sussex Drive, Ottawa. I will add, the food and wine pairings did not disappoint and showcased the wines impeccably. An invitation was extended to the group to visit Beppe at the winery. I can say that many eyebrows were raised toying with the idea of a group tour! After more than 135 years after the Ruffino founding, and 85 years after the initial release of the Reserva Ducale, Ruffino continues to impress the world with its remarkably consistent, widely recognized and globally respected brand and values. The story of Chianti in the basket and the introduction of Italian wines in North America. It was a great pleasure tasting the Ruffino portfolio of wines with Global Brand Ambasador, Beppe d’Andrea, at Social Restaurant in Ottawa Byward Market. In addition to tasting some great wines and food, the highlight of the evening for me was Beppe, who captivated us with his remarkable ability for storytelling. Beppe has a unique ability to draw you in, eagerly awaiting his next word, whether detailing Ruffino’s beginnings in 1877 by two cousins, or how wine, salt and olive oil were used as currency for farm labour in the 17th century, to just making you smile at his passion for ‘Momma’ Italy. One great story is about the legend of how the Black Rooster became the emblem on the neck of all bottles of Chianti Classico. Wine has been produced in the Chianti region for about 1000 years and the Tuscan cities of Siena and Florence used to fight over the boundaries of the area. Beppe explains the Ruffino wine portfolio. An agreement between the two cities was made around the year 1200 to settle their dispute for good. A horseman, leaving from each of the cities, raced toward each other, and the point where the two met, would define the boundaries for each region. The departure time for the horsemen would be synchronized by the crow of a rooster. In Siena, a well fed white rooster was chosen for the task. In Florence they tried to tip the odds in their favor by choosing a black rooster and keeping it in a box for several days without food. On the day of the race, the hungry black rooster crowed in the middle of the night sending the horseman from Florence on his way. Meanwhile, the happy white rooster waited until dawn before crowing. The result of the race was that most of the Chianti Classico region was claimed by Florence. A fun story to relate to your dinner guests the next time you open a bottle of Ruffino Chianti Classico. When the Ruffino winery first started production, their employees (family) were paid with 50% of the production. At that time, the workers’ food was simple fare, but an important part of Italian life – sharing good wine and food with friends and family. What a pleasure it was to meet and listen to Beppe D’Andrea, the Global Brand Ambassador for Ruffino wines, weave history and humor into this tasting. It is rare to hear someone as passionate and knowledgeable as Beppe talk about these ubiquitous wines from Italy. Most people that have tried a few wines from Italy, know Ruffino for their Chianti and Chianti Classico, which the former was known as the bottle in the basket for a long period. It was one of the first wines to be exported from Italy and it is now a global force being exported to 84 countries. Beppe described it as the first wine to teach us to appreciate good wine. Canada is only second to the U.S. for importing Ruffino wines. It is clear that we continue to do so because Ruffino takes pride in their quality and refinement. Beppe described some of the lengths they go through to make a quality product, including gravity fed machines, varying density planting, and the sometimes lengthy aging process in small barrels. Ruffino Wine has been around since 1877 because it has not changed its philosophy that quality wines are timeless. 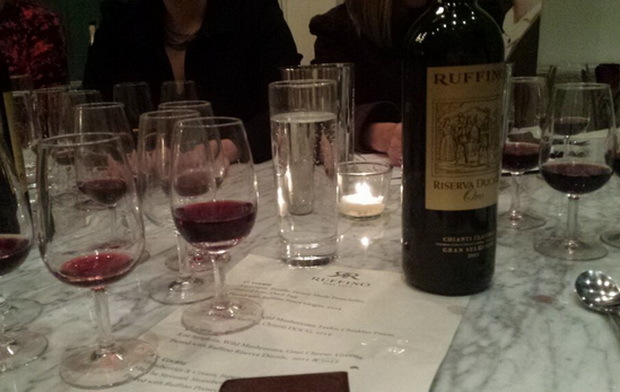 At this tasting we had the opportunity to taste a variety of wines offered from Ruffino. There was a very affordable Pinot Grigio and Presecco. Then there was high-end wines such as their Brunello and Riserva Ducale Oro Gran Selezione, and the moderately priced Modus from the Super Tuscan category. For the caliber of wine being produced by Ruffino, almost all of these wines could be considered bargains for the price/quality. It is understandable why Beppe was so animated and enthusiastic! When the bankers in Italy learned that a small part of Tuscany had real money, they decided to raise the price of salt. Salt, of course, was an important part of life in Italy, particularly for preserving food. Beppe relates a story of how the people of Tuscany dealt with this situation. On Sunday October 18 we were treated to a wonderful wine tasting at Social with Beppe D’Andrea, the Senior Global Brand Ambassador for Ruffino. Greeted with a glass of Ruffino Prosecco, which was a wonderful pre-dinner wine with pear, apple and toasted bread notes. The tasting itself featured an outstanding pairing of food and wine. 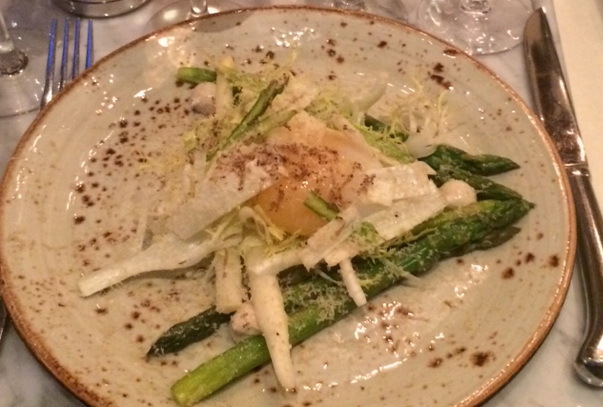 The first course was asparagus, truffle, prosciutto, foie and duck egg, paired with Ruffino 2014 Pinot Grigio. The Pinot Grigio had a nice floral and citrus scent with some good minerality on the palate. For me, the red wines were the stars of the evening. Ricotta gnocchi was paired with some outstanding Chianti. The 2012 was a particular standout with luscious cherry and floral notes. The 2011 and 2012 Riserva Ducale were also outstanding wines and will pair well with a variety of dishes. The Brunello highlight of the evening was the 2006 Ruffino Greppone Mazzi Brunello Di Montalcino, which was a special treat as it is not available at the LCBO. 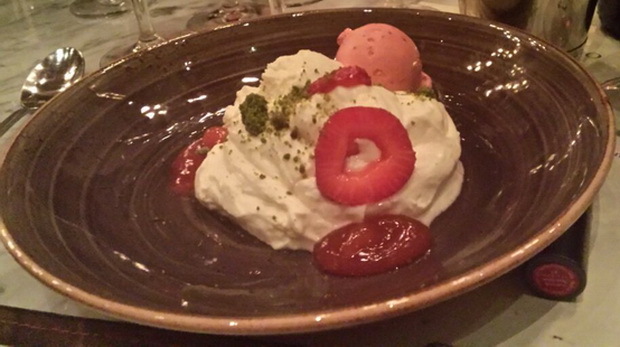 Beppe d’Andrea embodies the Italian way of life that blends a love of wine with passion for food. Beppe began his wine industry career in the early 1980s as a cellar master for several Italian wineries. Soon after, he became involved with the Slow Food movement for the Chianti Classico region, a chapter of the global grassroots organization that promotes and protects the heritage, traditions and culture of food. 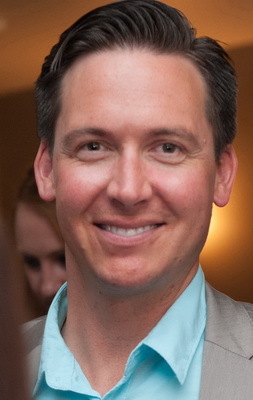 In 1987, he began his career with Ruffino and has never looked back. Initially working in the vineyards, he soon joined the winemaking team. During his first season in the cellar, Beppe made white wines and later, as cellar master, he made Ruffino’s Chianti Classicos and other red wines. In 1989, Beppe earned the Professional Sommelier certification. In 1995, Beppe, a dynamic storyteller and enthusiast spokesperson for Ruffino and Tuscany, was tapped to be Ruffino’s Brand Ambassador. Today, as Senior Global Brand Ambassador for Ruffino, he hosts visitors from around the world when they come to visit Ruffino’s estates in Tuscany. He also travels outside Italy to bring Ruffino wines and the Ruffino story to wine lovers around the world. In his spare time, Beppe enjoys playing for Cus Firenze Rugby I Ribolliti, a local rugby team. He also loves to cook. Beppe has a passion for fresh seafood, homemade pasta and pizza, and now he is fine‐tuning polpetta (a type of meatball) made with extra virgin olive oil and a pistachio crust. He also enjoys riding his motorcycle through the Tuscan hills and otherwise enjoying la bella vita Toscana. Note: Ruffino provided the wines and pairing dishes for this event, but did not pay a sponsorship fee for it. They also did not sponsor this blog post.